This is the perfect rough guide, if you’re looking for an easy sail, with light winds and clear seas. With two weeks to explore the area you’ll be able to get as far north as Kassiopi and as far south as Ligia or beyond if you wish. The winds in the Ionian are very light meaning this is a great choice for those just starting out or introducing family and friends. Force 4 is the average in the height of summer with winds picking up slightly in May and September. 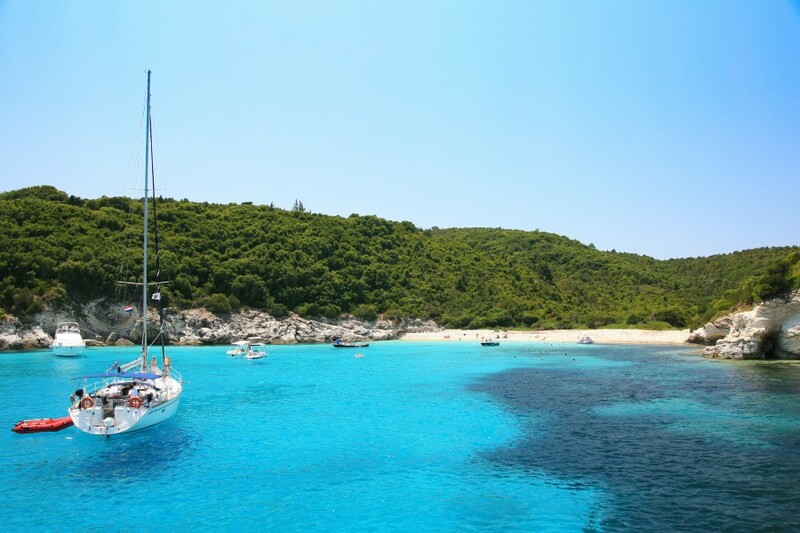 Sailing for two weeks in the north Ionian you not only get to explore the picturesque islands of Corfu and Paxos but you also get to hop down the coast of mainland Greece. 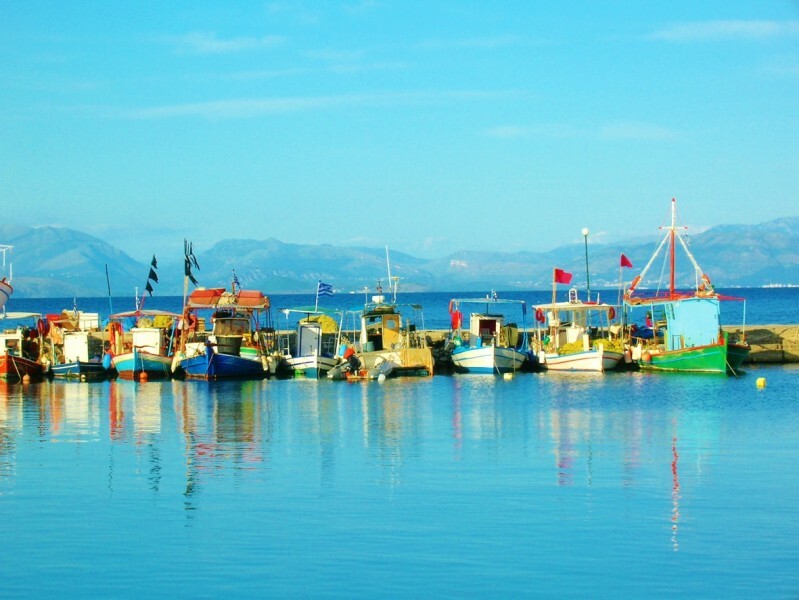 You'll be stopping in some stunning harbours where the local cuisine is something not to be missed! Once you have arrived at the base in Gouvia and done your check in with the local charter company you are free to explore Corfu. The town is around a 15 minute taxi or 20 minute bus ride away from Gouvia Marina. It is the largest town out of all the Ionian Islands and was built between two fortresses which are still there today. There's a great choice of restaurants, whether searching for a Gyros, Kleftiko or maybe some Italian; you will find it there in the hidden streets. 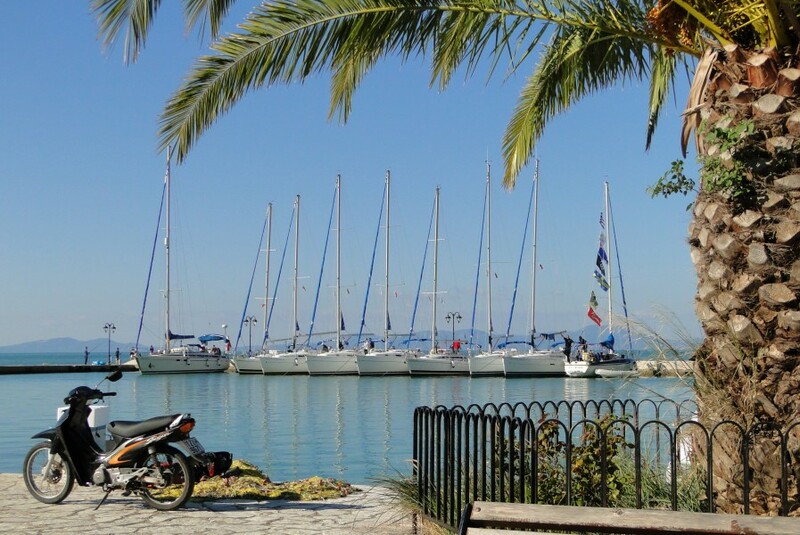 Corfu Town is a great place to explore for your first day sailing as it is only a few miles down the coast. If you fancy exploring further afield and getting away from it all why not head down to Petriti? Petriti is a charming village on the east coast of Corfu island. 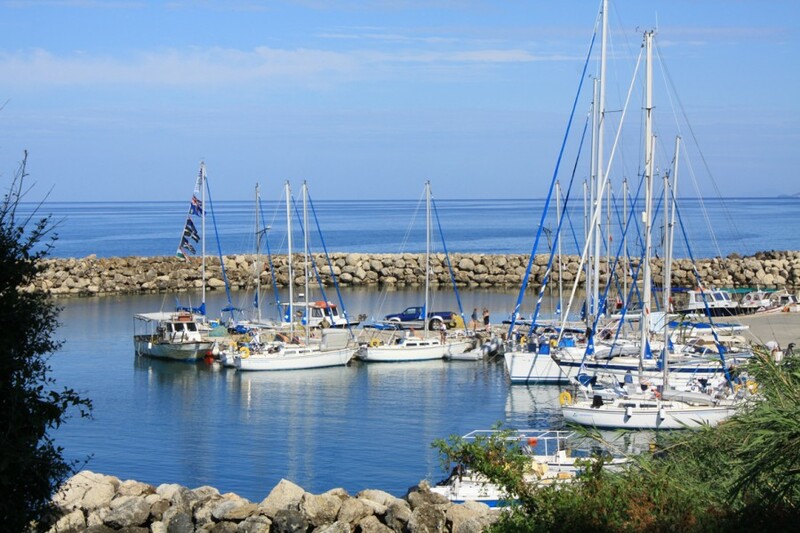 The village is a popular fishing area and if you get up early enough you will see all the boats returning to harbour with their fresh fish on board. In recent years the village has gained lots of popularity and now offers many more restaurants and cafes, although the village still retains its old charm and unique character. An alternative easy first day is a hop across to the mainland village of Sayaidha. There are a number of beautiful stops on the mainland, with stunning scenery and great swimming spots. 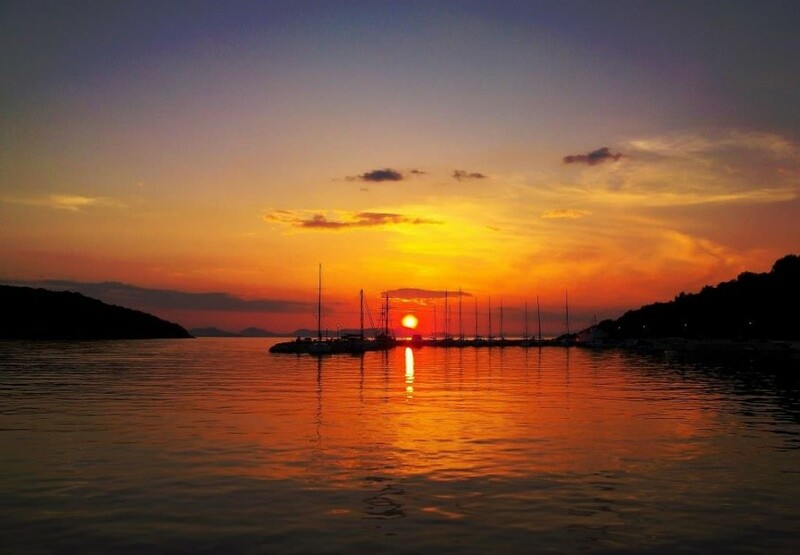 We recommend overnight stops in Plataria and Sivota Mourtos from which the sunsets are stunning. A swim stop in the archipalego of islands just outside Mourtos is a must! 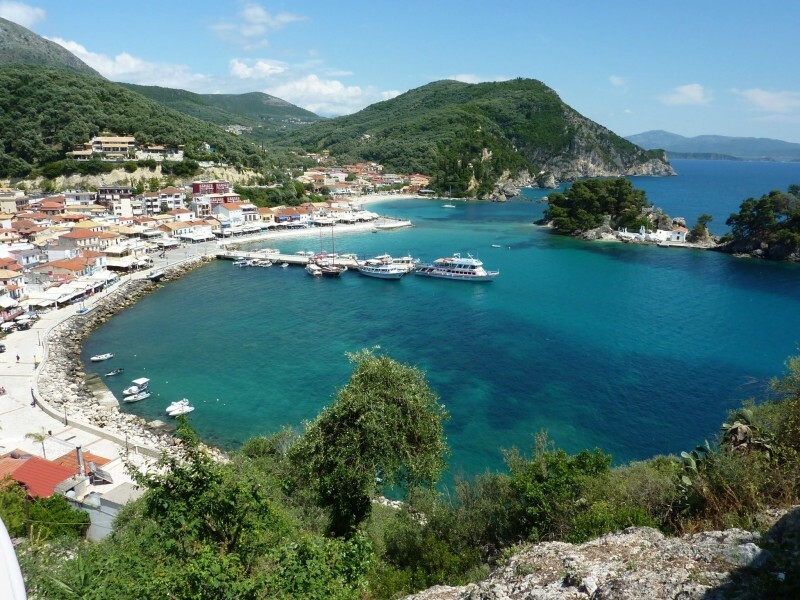 Head further south and stop off in Two Rock Bay on your way to stunning Parga. You might like a two day stop here as there is lots going on between Valtos Beach and the buzzing town. It is home to an ancient citadel, some lovely restaurants and amazing views. We highly recommend unwinding over a cocktail or two at Sugar Bar on the promenade, watching the world go by, before heading into the back streets for dinner at Castello's Restaurant. This family run restaurant never ceases to impress with it's sunken wine cellar, garden and incredible food. Exploring the islands of Paxos and Anti-Paxos is a must! 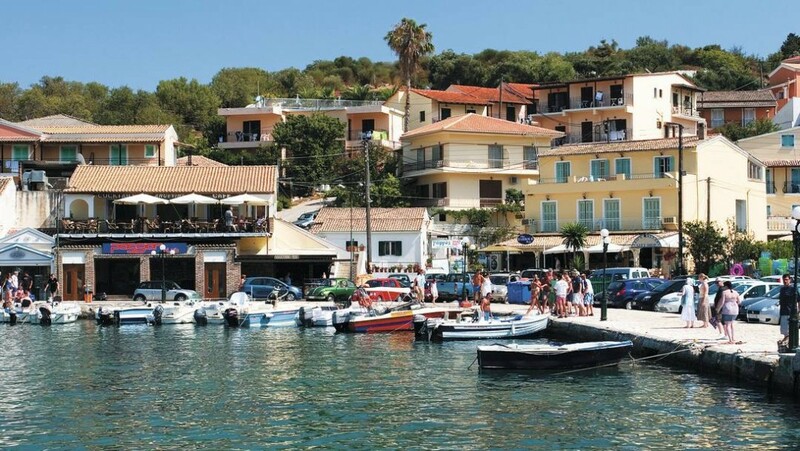 There are four main ports on Paxos Island; Lakka, Longos, Gaios and Mongonisi. Anchor in the crystal clear waters of Lakka Bay for a swim before heading over to the town quay in the evening. If you fancy being spoilt a short (10 minute) taxi ride up to the sunset bar and restaurant, on the cliffs looking over the west coast, is a must! Spend your days enjoying the gin clear water in Emerald Bay on Anti-Paxos or enjoying a racey sail down the west coast of the island. Sailing north up the mainland coast will take you past some craggy coastlines surrounded by mountains and clear blue waters. Sayiadha is only 5 miles North from Plataria. A tiny Greek village which is one of the less visited Ionian harbours however you may find a few flotillas here. The village has a couple of restaurants and shops for basic provisions but not much else. For those who like their exercise you can visit the old town which is about an hour and a half’s walk up hill. 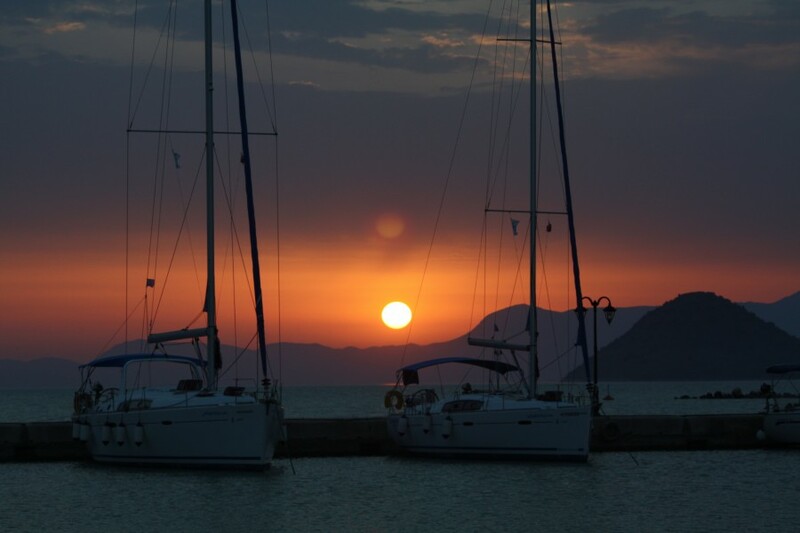 From here sail across to Corfu and stop off in Ay Stephanos and Kassiopi for your last few days. After exploring the Northern ports in Corfu it's time to head South and end your trip in Corfu. Give yourself a couple of days in Corfu Town so you can really explore everything the gorgeous place has to offer. The town is the largest out of all the Ionian Islands and was built between two fortresses which are still there today. There's a great choice of restaurants, whether searching for a Gyros, Kleftiko or maybe some Italian; you will find it there in the hidden streets.